Define concepts and terminologies used on the topic of soil quality and soil functions. 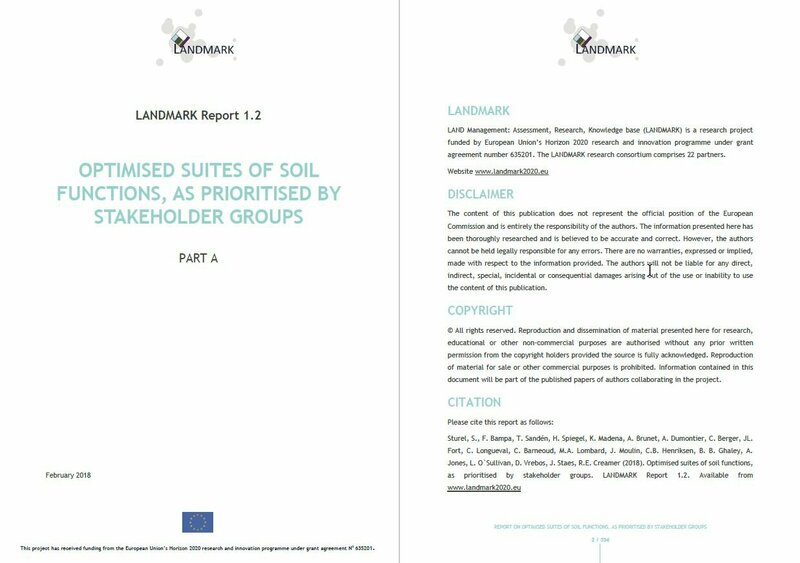 Assess and quantify stakeholder prioritisation of soil functions. Review existing knowledge from literature. 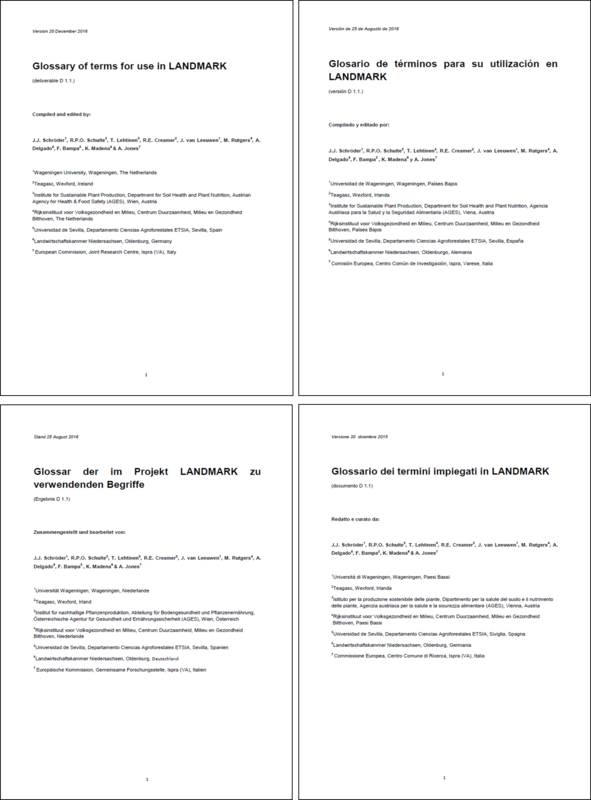 Develop a Strategic Research Agenda for LANDMARK. But also assists WP5 in identifying and planning the optimum mode of delivery of the Soil Navigator Decision Support Tool (Pillar 1) , Monitoring Schema (Pillar 2) and Policy Options (Pillar 3), through a process of stakeholder consultations. 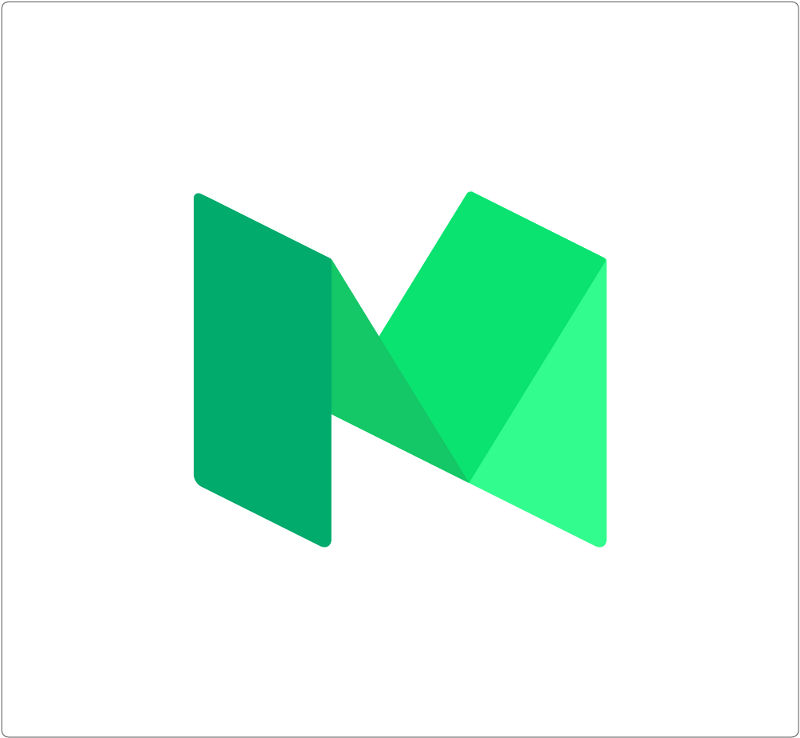 The team has done a tremendous job to date and has succeeded in producing a project glossary, which will also been used by other projects and European Commission initiatives. The glossary has also been translated into three other languages as well as the original English version. In addition the team has carried out 32 workshops (see below) and a stakeholder platform to a range of stakeholders including farmers, industry, legislators and policy makers across Europe. This required a very strong co-ordination, development of support materials, pilot workshops, translation of materials, templates for presentations and the final collation of all the material. Detailed literature reviews have been completed as part of the project for the three pillars, through three scientific papers. The final task of the team is the Strategic Research Agenda, which was based upon the amalgamation of the other tasks. (page 1-60) describes the methodology undertaken to harvest the stakeholders’ knowledge and synthesizes the results into descriptive tables and graphics. (page 61-394) consists of the two guides used to run the workshops and a collection of the individual reports of the 32 workshops ( see below) carried out, each with a detailed description of outcomes, agenda, participants and workshop’s evaluation. 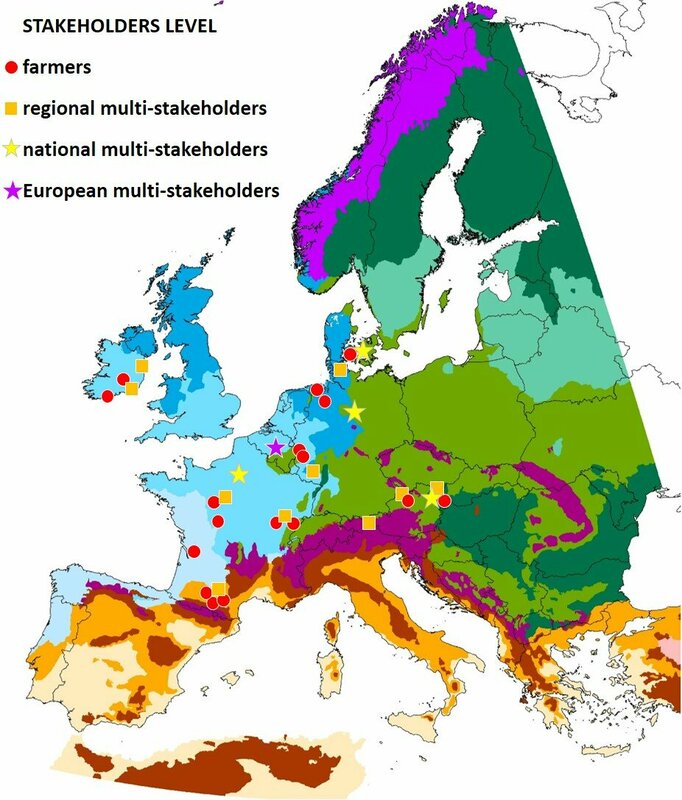 The map below shows the location of the workshops divided by stakeholder level (local, regional, national and European) over the 13 main environmental climatic zones by Metzger et al. 2005. The table below lists the location, the stakeholder level (local, regional, national and European) and the partner institution involved in the organisation of the workshop. Ghaley, B.B., et al. on Assessment of Benefits of Conservation Agriculture on Soil Functions in Arable Production Systems in Europe and his publication tree. Vrebos, D., et al. 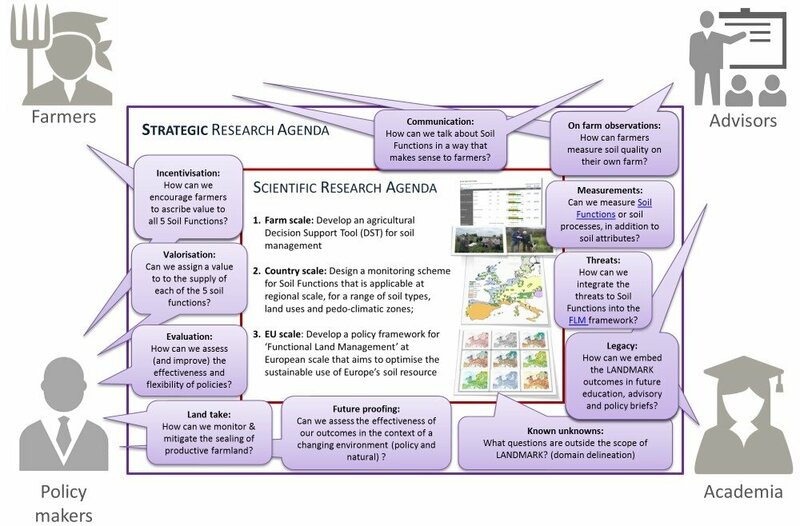 on The Impact of Policy Instruments on Soil Multifunctionality in the European Union and his publication tree.